Family is the fundamental building block of the society. At Ahluwalia Law Offices, we understand matters involving family are not only legally complex but also stressful and emotional. The firm practices in a wide array of Family Law Matters. We can help you with Divorce, Child Custody, Child Support, Estate Planning, and Probate and Probate Alternative Processes. It’s important to carefully consider options in each of these processes. Our team of knowledgeable and dedicated attorneys will work hard to achieve the best results for our client, always treating you with empathy and care. Child custody arrangements are often the most taxing aspect of divorce. Texas law provides that both parents, in the majority of situations, should have access to their children. However, determining where the children will primarily reside and the appropriate visitation schedule can be cause for significant disagreement. Frequently, custody is shared between parents—in Texas, his is referred to as joint managing conservatorship. When parents are named joint managing conservators, they share in the legal rights to make decisions pertaining to the children, such as education, extracurricular activities, medical care, and religious upbringing. However, frequently one parent is named the primary conservator and he or she will make decisions on where the children will primarily reside. The non-primary conservator will have rights to access and possession of the children on a schedule (frequently, a standard visitation schedule is established giving visitation on the first, third, and fifth weekend of every month, with holiday and summer schedules as well). In some cases, it is not appropriate for parents to share custody in this manner. 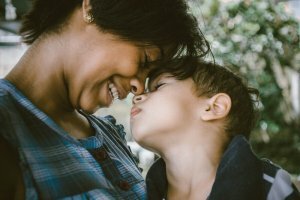 In situations where one parent has committed domestic violence, the court can order that the other parent be named the sole managing conservator. He or she will have several exclusive rights, such as the exclusive right to make medical decisions. Whatever your particular needs and situation are, we can help guide you to the appropriate solution or, if necessary, take action to establish rules to protect children from unhealthy situations. Payment of child support is typically required for one parent when parents do not live together. The amount of child support is frequently a concern for both parents, as one party will needs assistance to care for the children a majority of the time, while the other parent may be struggling financially to pay child support and cover their own expenses. The majority of the time, child support payments are determined by set factors, including the income of the non-custodial parent (income after taxes), how many children are to be supported, whether the non-custodial parent has other children from a previous or new relationship, and health care expenses. For example, in a “standard” custody arrangement where the parents are named joint managing conservators and the non-custodial parent has the children on a standard possession schedule, his or her child support payments would be calculated on a flat percentage of income—if there is only one child between the parties, and the non-custodial parent has no other children he or she is obligated to support, then child support payments will frequently be 20% of his or her net income, plus an obligation to provide health insurance or reimbursement for health insurance costs. Support will be ordered until the child turns 18 years of age. If there are two children, child support will be 25% until the first child turns 18, and then it will be 20% until the second child turns 18. At Ahluwalia Law Offices, we understand that making the decision to divorce is a tough and emotional decision. We provide the legal knowledge to help you through the process as easily as possible. We also understand and appreciate the role that emotions play in the ending of a marriage, and will help you to make level-headed and fully informed decisions. Divorces take many shapes. 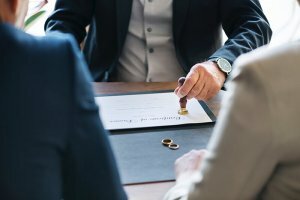 Whether you and your partner have amicably decided to separate and come to agreements on property and children prior to filing for divorce, or if you are facing a contested divorce with disputes over custody and debts, we are equipped to assist you in navigating your divorce and coming to a resolution that will protect your interests in the future. Texas is a community property estate, meaning that marital property (typically including property acquired by either spouse during the course of marriage, savings from income during marriage, and retirement accounts) will be divided in a just and right manner. This often results in a balanced division of assets, regardless of whether one spouse earned an income and the other was unemployed. Assets that must be reviewed during the course of a divorce include checking and savings accounts, investment accounts, retirement plans, pensions, real property, automobiles, and other property. The general rule is that property acquired during the course of marriage is part of the marital estate, regardless of whose name the property is in. Exceptions pertain to gifts and inheritance. Further, asset division does not have to be a 50/50 split to be considered an equitable division—one party can be awarded the marital residence and the other can retain 100% of his or her 401 (k). Estate Planning for individuals and married couples is more important than most of us realize. An estate plan includes many separate documents, such as a last will and testament, medical and financial powers of attorney, and HIPAA authorizations. We also provide documents which will allow you to designate who is to care for you if you become unable to care for yourself, and instructions for your caregivers on end-of-life decisions. Each of these documents serves a unique and important purpose, and our loved ones can feel a real impact if this planning is ignored or inadequate. Taking the time now to complete your estate plan saves time and money (potentially a lot of money) in the long run. 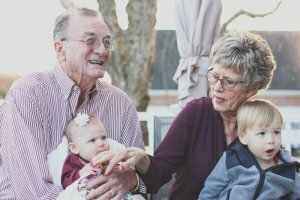 We recommend a complete review of estate planning documents every five to ten years, after the birth of a new child or first grandchild, and after divorce or remarriage. Come in and let’s review where you are in your estate planning needs, and put together a package to ensure you will be taken care of and your loved ones will not face additional hardships in the future.